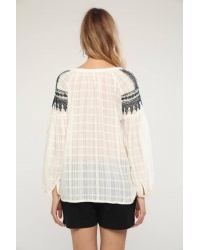 Cotton blouse with handmade embroidery on shoulders and neckline. Madras woven cotton blouse with handmade embroidery on shoulders and neckline. 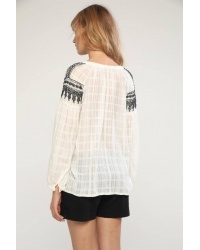 The contrast of black embroidery on the off-white background gives this top a modern elegance.